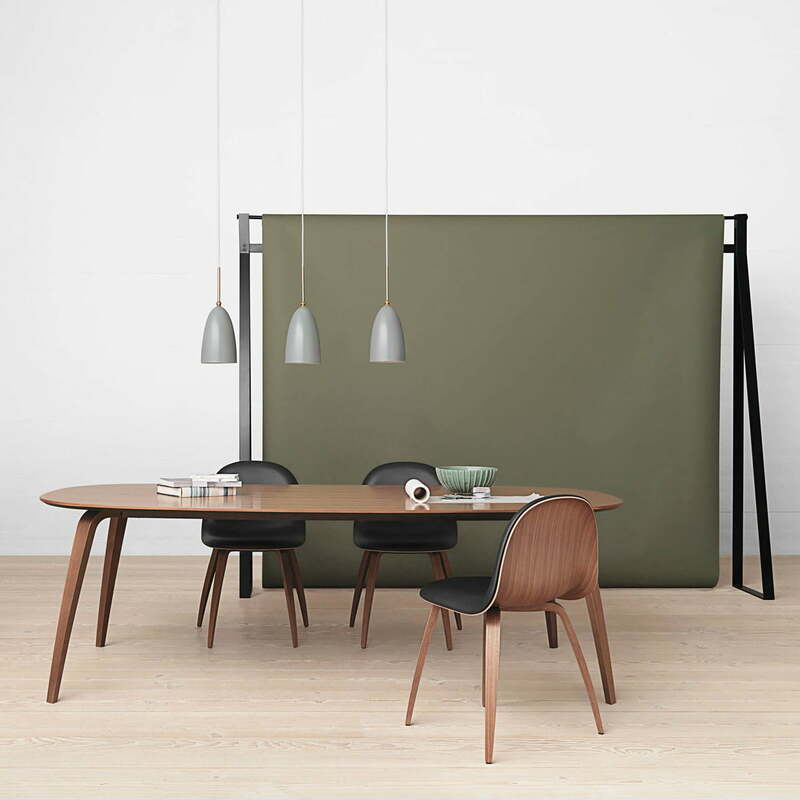 The elliptical dining table by Gubi is part of a series of tables, available in different woods and shapes. 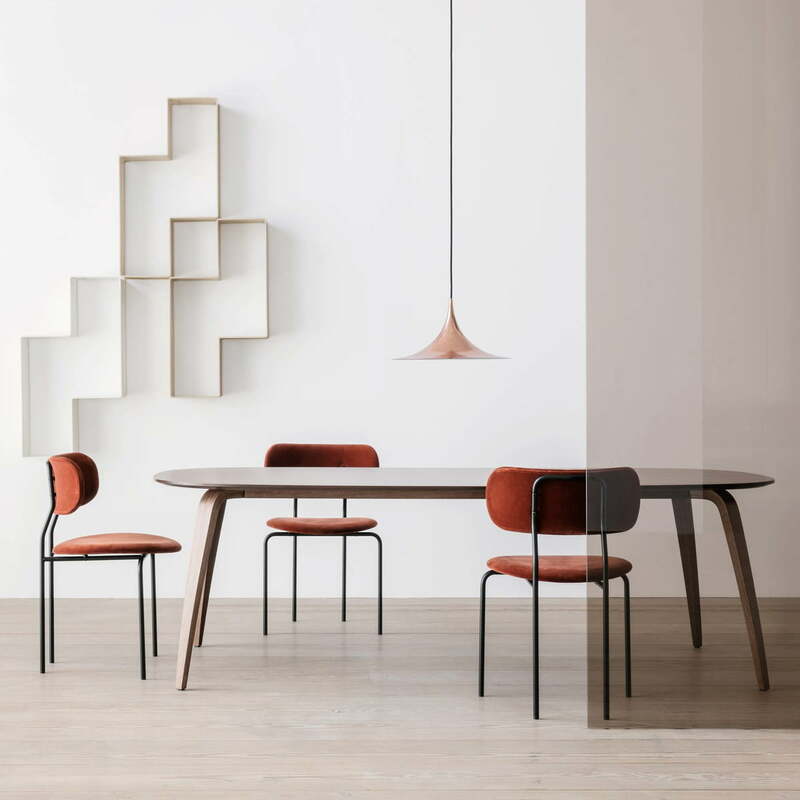 Originally designed as a matching table for the 3D Chair, the wooden table can be combined with other chairs thanks to its timeless shape and soft silhouette. The dining room table offers space for up to 10 people, making it ideal as a family table in the dining room or a conference table in the meeting room. 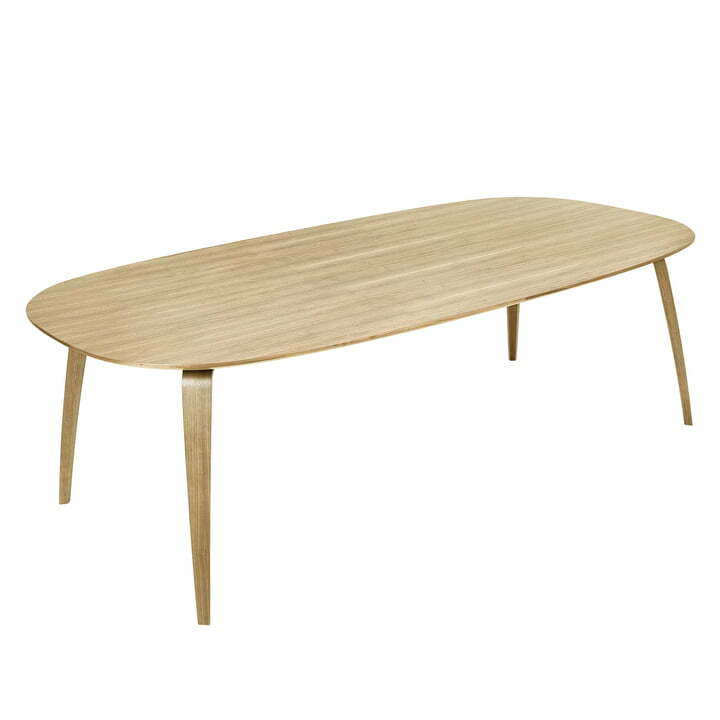 The Elliptical Dining Table 120 x 230 cm by Gubi in oak : The Gubi dining table features a minimalist design, that fits perfectly into a modern interior.